Four chairs. Four cuddly bears. All is well until Big Brown Bear shows up-what a stare!-and wants a seat. Can these clever bears put their heads together (among other things) and make space for one more? With expressive illustrations and a sustained rhyme in every line, this winsome tale makes sharing irresistible and is sure to have little listeners sitting up to take notice. 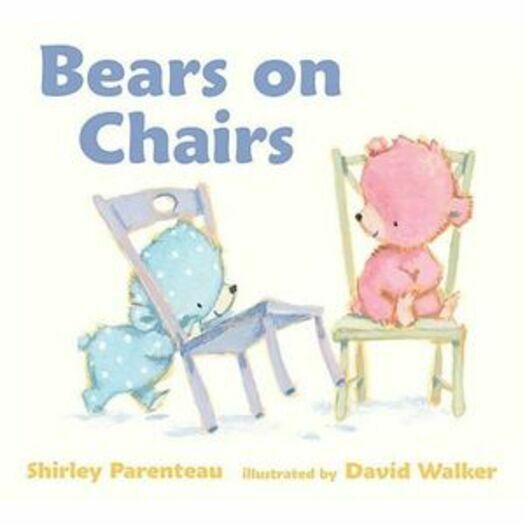 The sharing theme and teddy bear characters make this a pitch-perfect tale for nursery-school children. Children will pick up this simple and catchy read-aloud rhyme with blissful ease. David Walker has illustrated several children's books, including Flip, Flap, Fly! by Phyllis Root. He lives in Chapel Hill, North Carolina.